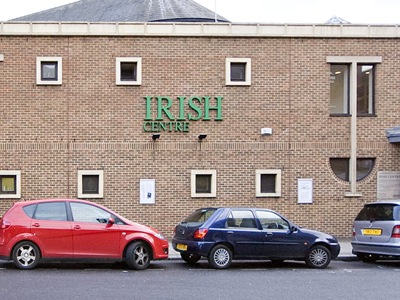 The Board of Trustees has just announced that the Irish Government has granted £550K to the Centre to assist in securing the purchase of the freehold of the building and in recognition of the significant work carried out by the Centre to promote Irish culture in London. "We wish to publicly express our sincere gratitude to the Irish government for assisting us secure a permanent home in London that is dedicated to Irish culture, our country’s greatest resource. The Board of Irish Cultural Centre is currently in the advanced stages of negotiations with both Hammersmith and Fulham Council and the widely respected Shepherd’s Bush Housing Association (SBHA) whereby the Irish Cultural Centre would be able to purchase the freehold of the premises and provide a lease to SBHA. Subject to planning permission being granted, the proposed strategy is to demolish the existing structure and erect a new building incorporating a well-designed Centre with greater revenue-generation capacity and with residential accommodation to be located on the upper floors. It is anticipated that this project would take circa 18 months to complete. During this period the Centre’s services will continue to be delivered locally." Further credit is also given to the MPs who have shown their continued support over the course of the campaign - in particular those that signed an early day motion in 2011 urging the Government to support the local Irish community in its efforts to secure the long-term future of the Irish Cultural Centre. Let's try and stop yet another war!